The genetic development of this strain was a complex process. It is a cross between two autoflowering strains developed from some very special Critical Mass Auto and Jack Herer Auto clones. The result is a rapid auto that grows vigorously, branches out well and produces abundant flowers. Stress severely affects flowering of automatic strains so optimum conditions will enable this plant to fulfil its potential. For this reason, it’s better not to transplant and make sure it has sufficient soil. 7 litres should be enough indoors while no more than 11 litres should be needed outdoors. Grows strongly and energetically from the start. The first flowers should become apparent after around 15/20 days following germination. The plant will continue to grow for a few more days and may double or triple in size. Maturity is usually reached within 55-60 after germination. Owing to its well.branched structure, this is a very productive strain. 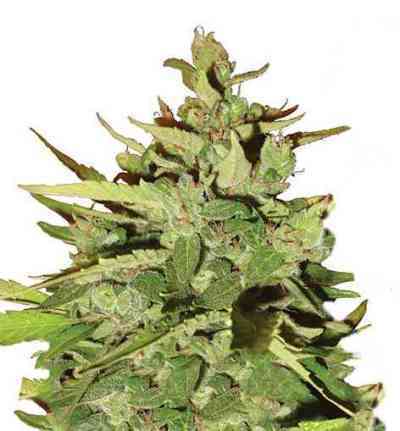 Critical Jack Herer has a sweet incense aroma that gets stronger and spicier as the buds are crumbled. The taste is spicy with fruity top notes and peppery, coffee back notes. The effect is instantaneous, strong and mainly in the body though it packs a considerable cerebral punch that is very pleasant and enjoyable. At the start, it’s almost euphoric, causing giggles, talkativeness or a desire to get stuff done or go for a walk. After a while, the effect becomes more relaxing, making is suitable for a variety of uses.